People are undoubtedly the most important asset for any organisation, so attracting and retaining the right people is the ultimate key to success. This realisation demands that the correct processes and technologies be in place to properly engage talent and ensure that everyone within the organisation is working towards a common goal. An end-to-end talent management strategy will identify talent both externally and from within and will ensure that potential candidates, high achievers, redeployment opportunities and potential areas of weakness are all clearly visible. Identifying external talent can be extremely difficult, especially in a volatile economy where the recruitment market is highly saturated. Organisations are increasingly looking at online applicant tracking systems as a more economic and effective method of attracting and hiring talent. Developing and delivering a strong, effective and consistent employer brand is essential to ensuring that your organisation stands out from the crowd - especially in such a volatile market place. Before this can be achieved however, it is vital that your organisation develops robust core processes surrounding your recruitment strategy. Without a strong and well-implemented core strategy it will be almost impossible to enforce a positive candidate experience and by extension - a positive employer brand. Through seamless automation of the entire hiring process, Applicant Tracking Systems will allow your organisation to facilitate this overall strategy and deliver a comprehensive approach to well delivered candidate communication and relationship management - especially at times when recruitment volumes are at an all time high. Applicant tracking systems have proven to be one of the most effective tools a Human Resources department can have. Their convenience and time saving qualities allow members of management to expedite the application process and choose the best candidate for the job. Applicant tracking systems provide a company with the necessary feedback to make an informed choice when hiring for a specific position. The types of information received through an applicant tracking system include job history, past experience, education, recommendations and references. Information is gathered from internal applications as well as job boards. Data mining techniques used by applicant tracking services gathers information from any location where it is publicly available and includes it in feedback reports generated for prospective employers. The analytics used in generating reports for employers involve compiling as much pertinent information as possible and preparing it in a concise and accurate format. Employers are able to look at several possible candidates at one time and compare each one's benefits to the others to make sure they are getting a detailed look at what is being represented. When a company has one position open and several qualified applicants, being able to look at a single, informative report concerning what applicants are available for the job will help them make a wise decision. Applicant tracking systems compare information from a variety of public and private sources. The information received is checked for accuracy and compiled in such a way, that any discrepancies are quickly noticed and flagged. Job boards like Monster.com and CareerBuilder.com can only do so much when it comes to verifying the accuracy of an applicant's information, but applicant tracking systems are able to go much deeper and find discrepancies websites may overlook. When reports are compiled, applicants are ranked according to skill level, employment history and a variety of other criteria that has passed through the tracking system. 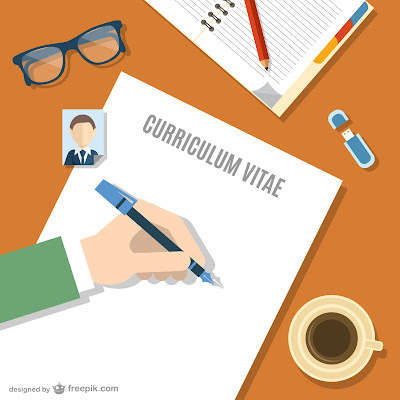 The best help in writing successful CV is cv writing services. Applicant tracking systems provide necessary information for companies seeking to hire new employees. It takes the guesswork out of tracking down the information. Companies no longer have to rely on information provided by the applicant alone. Instead they can tap into the vast amount of information available through the internet. Applicant tracking systems gives them an in-depth look at each employee without the worry of having to do all of the research for themselves. This not only saves them money by expediting the hiring process, it saves man-hours that can be used furthering the companies original goals. This article was prepared by Craftresumes writers.